The Balcões Viewpoint is located at the end of the Vereda dos Balcões easy walking trail. Starting at Ribeiro Frio, this small trail follows the Levada da Serra do Faial, giving access to the Balcões Viewpoint. 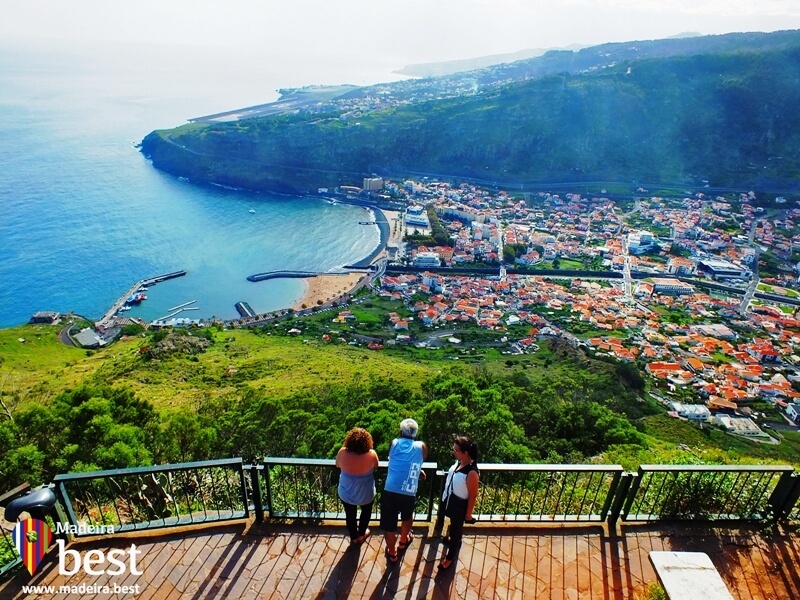 From this viewpoint you may enjoy the magnificent views of the Ribeira da Metade valley. You can also see the island’s Central Mountain Range, including the two highest peaks, Pico do Areeiro and Pico Ruivo, as well as Penha D’Águia cliff, on a clear day. 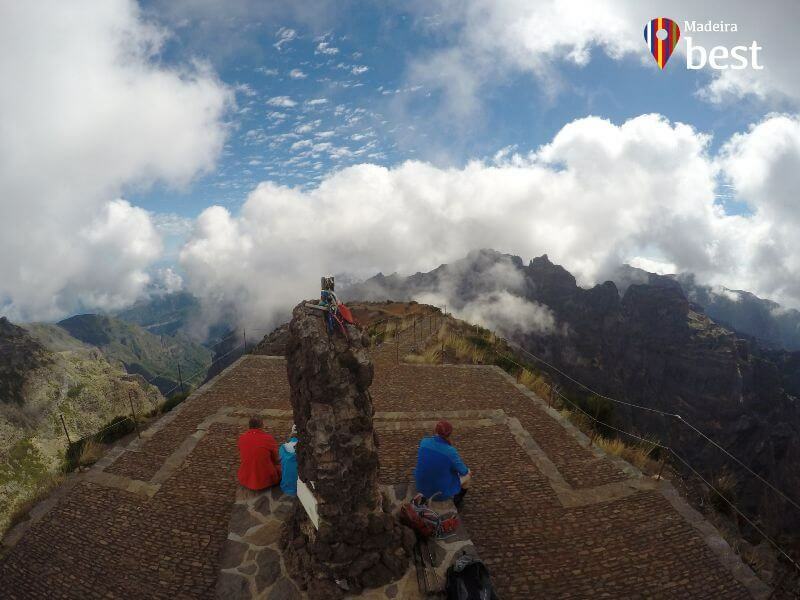 The Pico do Areeiro Viewpoint is located at 1818 meters, and provides a fantastic view of the central mountains of Madeira Island. 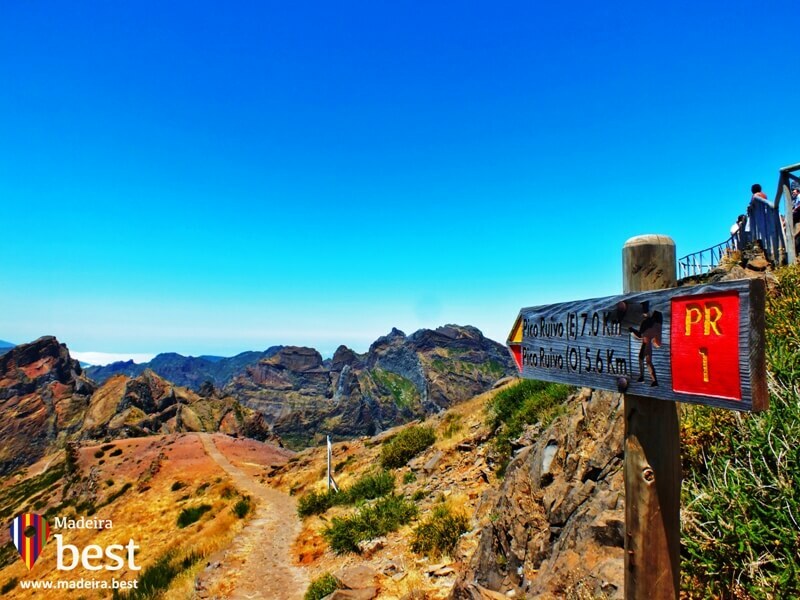 This is also the starting point for one of the most spectacular trails to the archipelago’s highest point, Pico Ruivo, at 1,862 meters. 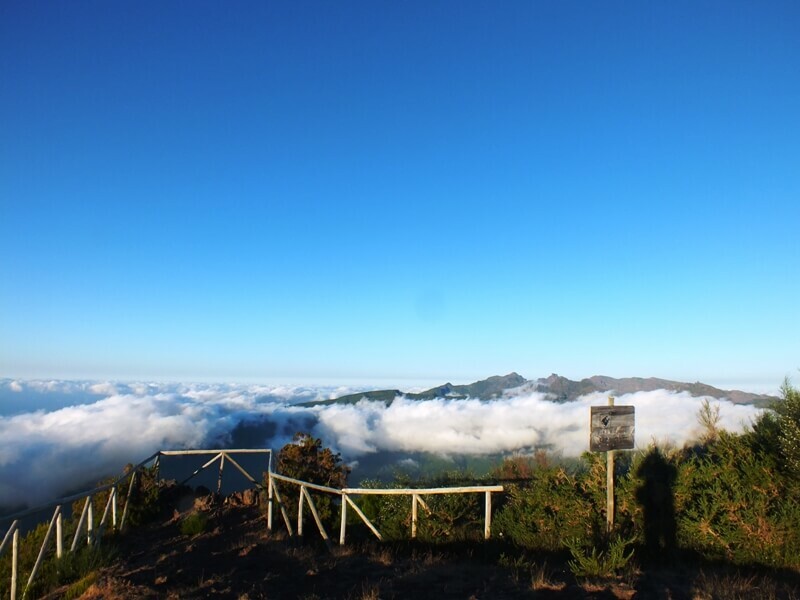 The Pico Ruivo Viewpoint is located at 1861 meters above sea level, at the highest point of the island. This viewpoint offers wide views over multiple locations. 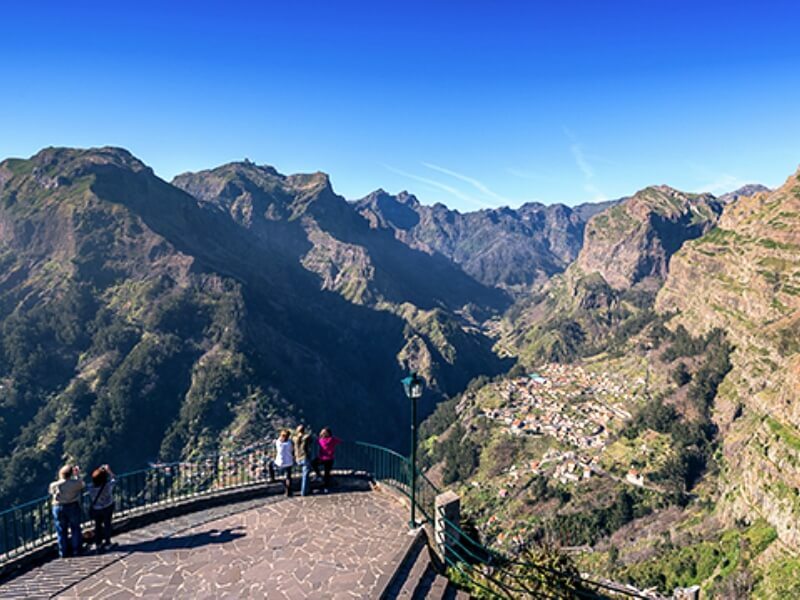 On a clear day, you can see Curral das Freiras, in the Câmara de Lobos municipality, the various plateaus of Santana and the deep valleys of Ribeira Grande and São Jorge. 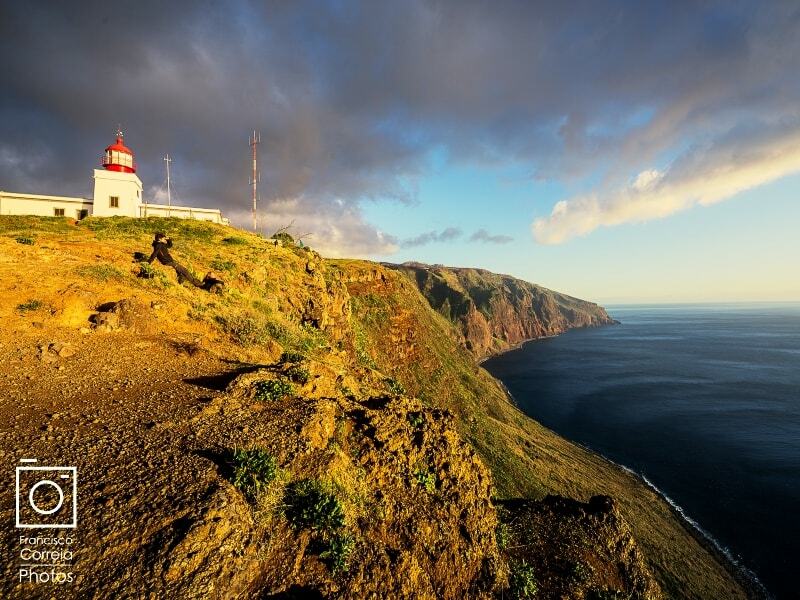 It also offers great views of the Ponta de São Lourenço, Paul da Serra, Porto Santo and the Desertas Islands. 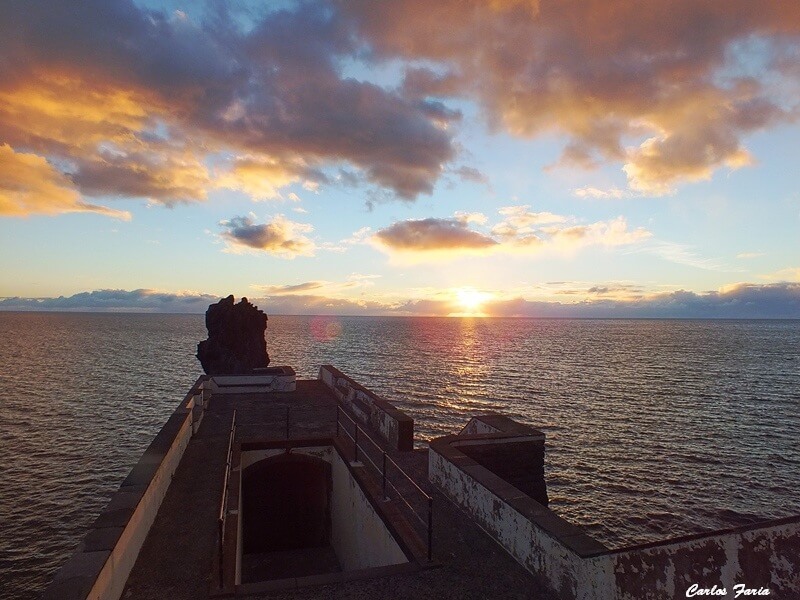 The Faial Fort Viewpoint was built in the 18th century to watch for invaders. The Faial fortlet operates today as a viewpoint and is considered a Monument of Local Value. From here you have wonderfull views all over Faial parish, Penha D’Aguia Rock and Ponta de São Lourenço. On clear days it’s possible to see Porto Santo Island. The viewpoint recreates a military battery, in a semi-circular plan, following the profile of the slope where it is built, with exterior paramount in which two inferior thirds are advanced and with a capstone in ashlar masonry. The Rocha do Navio Viewpoint is located in Santana. This viewpoint offers a fantastic view over the sea, the Viúva Islet and the surrounding area. Gives access to the Rocha do Navio Nature Reserve either by a steep footpath or by cable car. The name Rocha do Navio is due to the Dutch shipwreck that occurred there in the 19th century. The São Cristovão Viewpoint is located in Boaventura parish. This viewpoint offers stunning views over the North Coast, the Boaventura Islet and Ponta Delgada village. The Santa Viewpoint is located in Porto Moniz. This viewpoint provides a beautiful view over the village of Porto Moniz and of its natural swimming pools, as well as the Mole Islet. 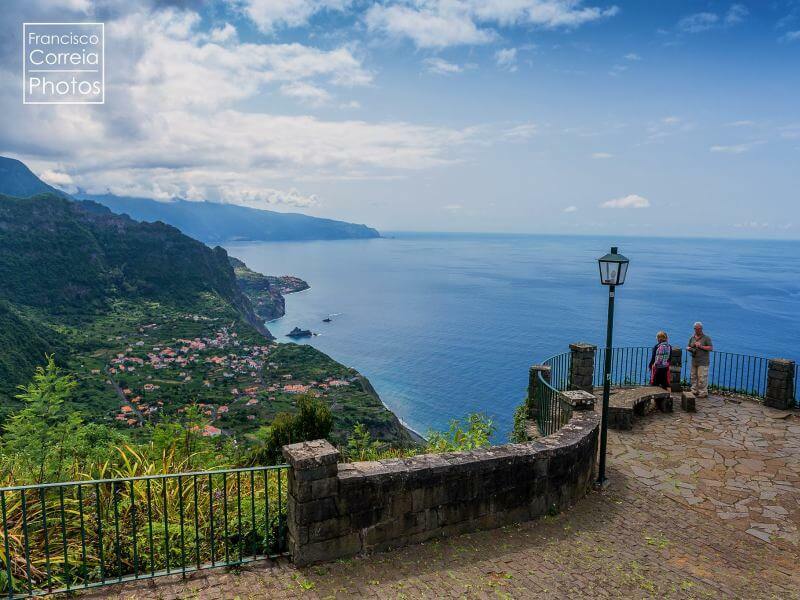 The Eira da Achada Viewpoint is located at the top of Ribeira da Janela parish and offers a stunning view over the northern coast of Madeira Island. This viewpoint is equipped with sanitary facilities, children’s playground, picnic areas and car park. The Raposeira viewpoint in Faja da Ovelha is overlooking the Paul do Mar. 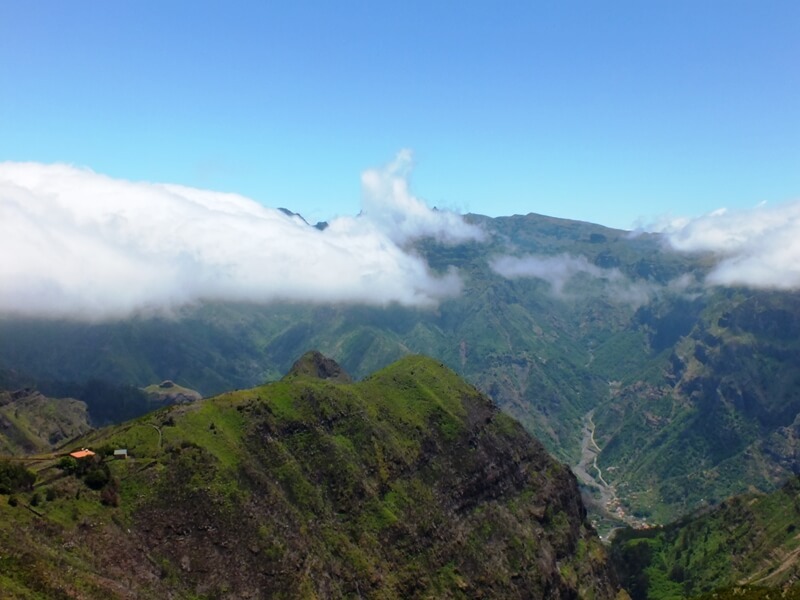 The origin of the name Fajã da Ovelha, is based on a story of a shepherd that had lost a sheep in the cliff, and that episodes like this would have caused the name of the parish as we know it today. 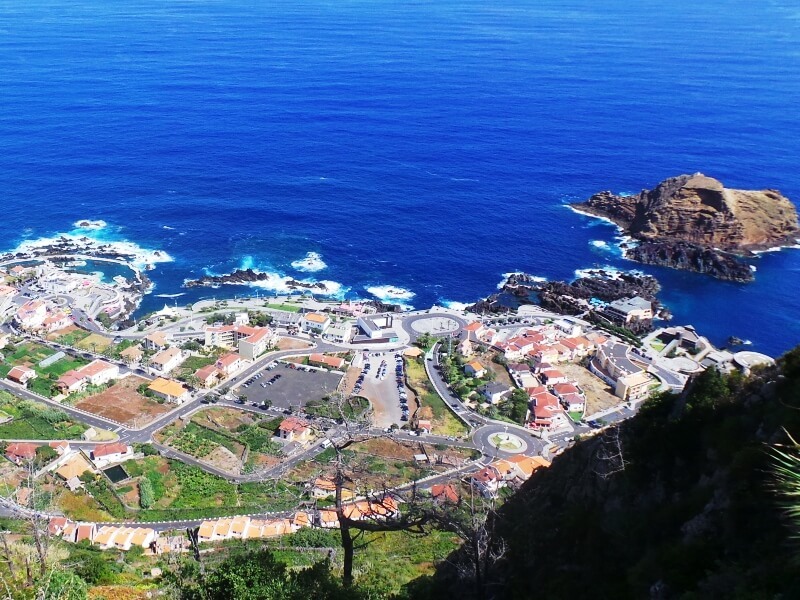 The Ponta do Sol Harbor Viewpoint was built by the Municipality of Ponta do Sol in the years 1848 to 1850 and was designed by engineer August Tiberius. 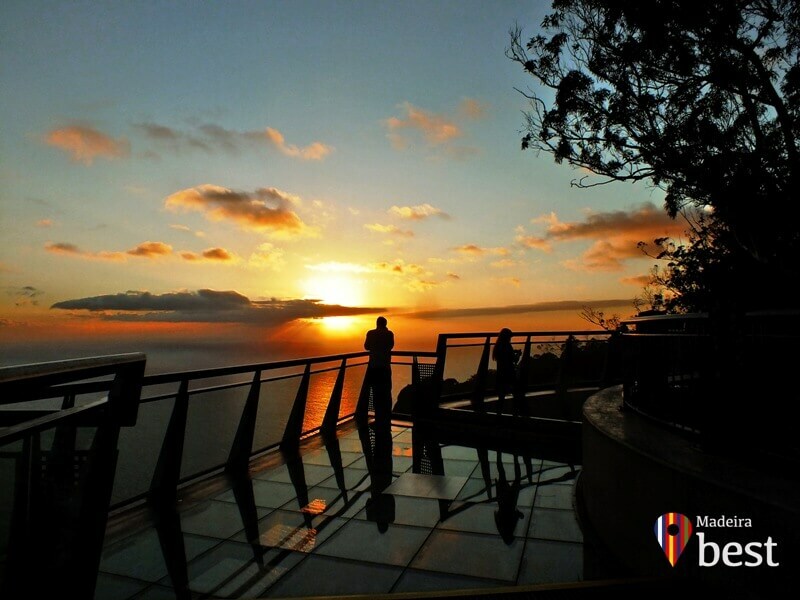 From this viewpoint you can enjoy wonderfully sunset’s and offers panoramic views over the south coast from Ribeira Brava to Calheta. 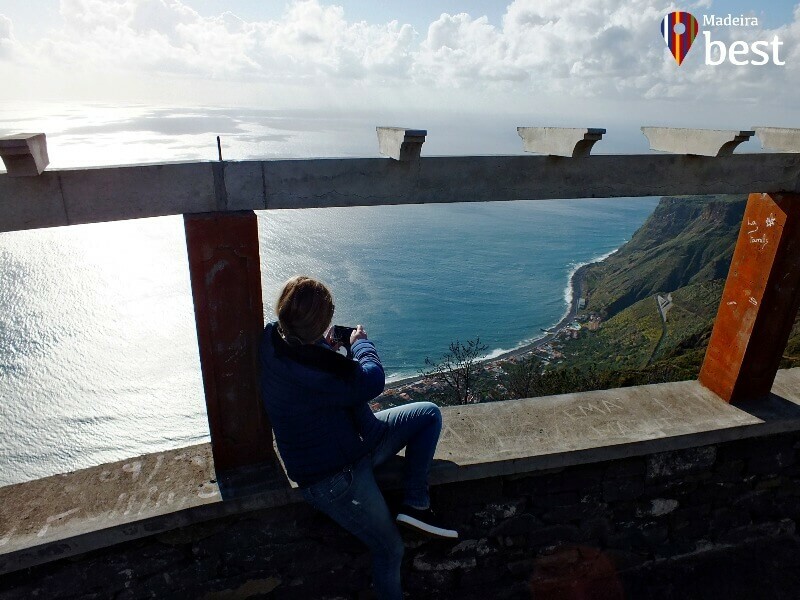 The Encumeada Viewpoint is Located at an elevation of 1,007 m, this viewpoint offers a superb landscape over the north and south coasts of the island and the valleys of Ribeira Brava and São Vicente. The Bica da Cana Viewpoint is located at 1 560m altitude high above the central valley at the eastern end of the Paúl da Serra plateau. 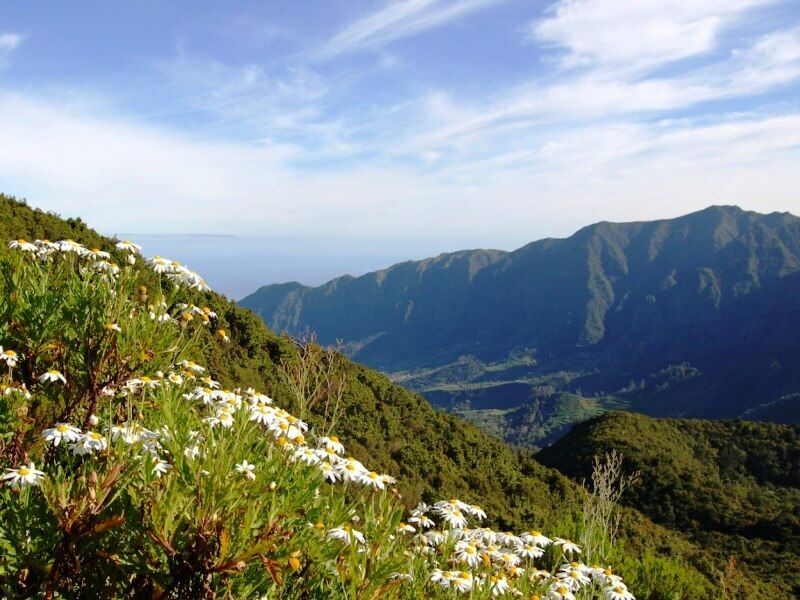 Apart from serving as a picnic spot for cross-island travellers, there are also wide-screen views here of Madeira’s highest peaks across the valley. It’s also well known for its wind farm, a controversial addition to this highly visible location. The Pico Ruivo of Paul da Serra Viewpoint is located on the Paul da Serra plateau. This viewpoint offers breathtaking views all over the island. 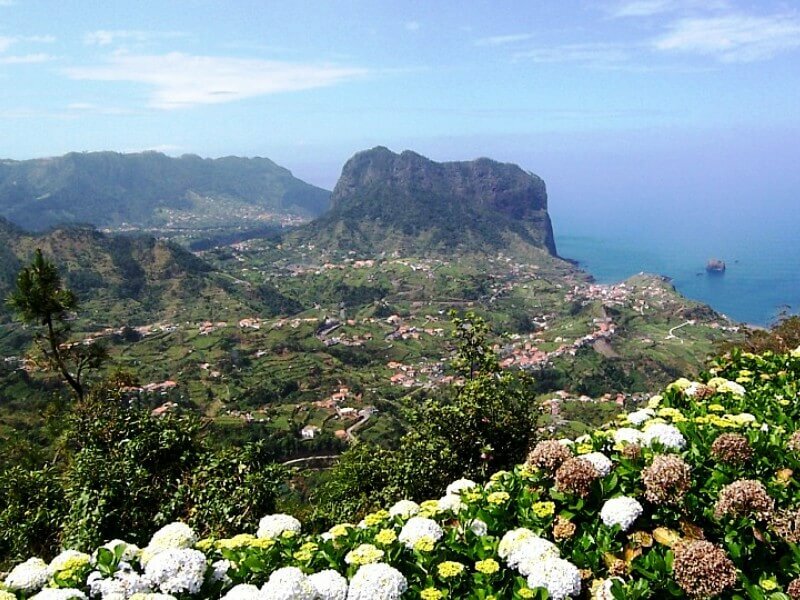 Above you can see São Vicente village and looking around all the central mountain range stunning views. The Rabaçal Viewpoint is located in Pico da Urze, in Paul da Serra plateau. 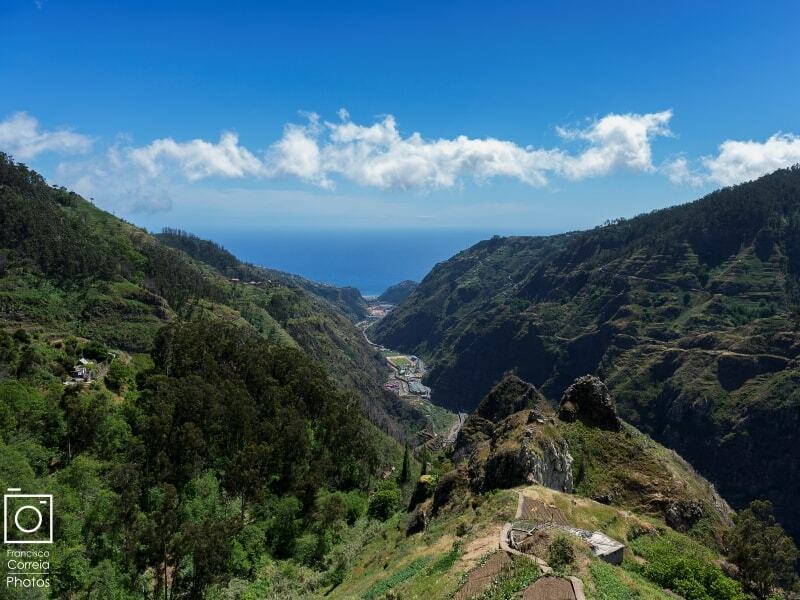 This viewpoint has a beautiful panoramic view of the largest valley on the island, one of the most beautiful in Madeira, surrounded by the luxuriant vegetation of Laurissilva forest, a UNESCO world natural heritage site. 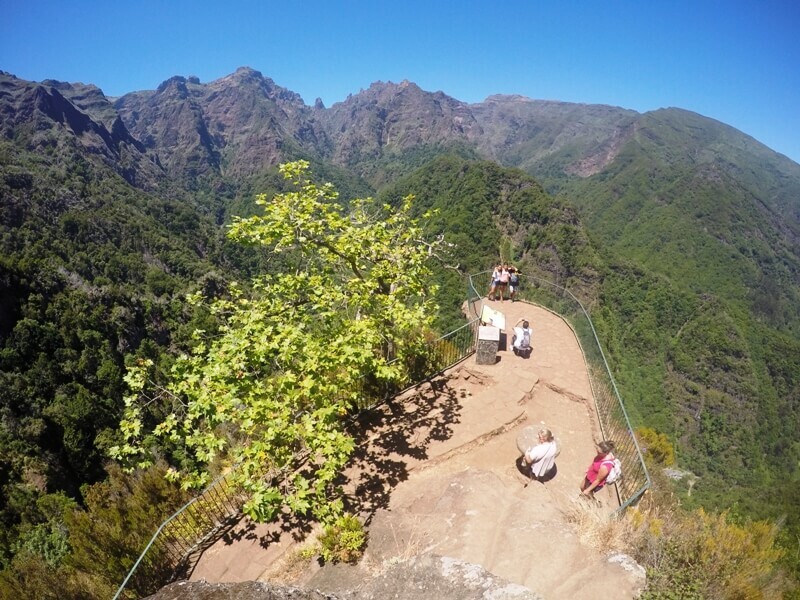 Rabaçal is part of the Madeira Natural Park as a quiet rest area, and is part of the Natura 2000 Network. 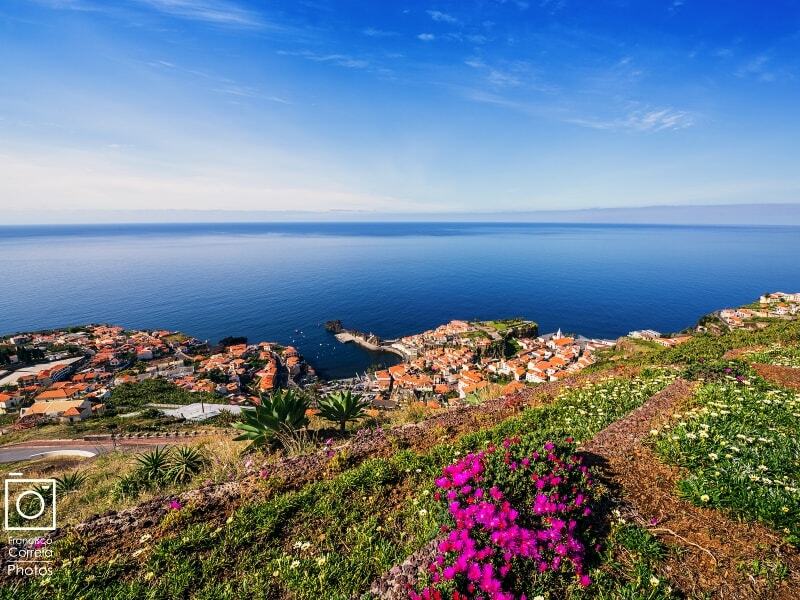 The São Sebastião Viewpoint is located on a cliff overlooking the village of Ribeira Brava, offering a beautiful panoramic view over the valley of Ribeira Brava, with views of the sea coast of Quinta Grande, Campanário, Lugar de Baixo and Ponta do Sol. The Espigão Viewpoint is located in São Paulo, at the top of Ribeira Brava, offers magnificent views over the green hills, spotted by just a few houses, and the pointed mountains that dominate the valley of Serra de Água, from Encumeada to the village of Ribeira Brava. The Cabo Girão Viewpoint is located on the highest promontory in Europe, at an elevation of 580 m, offers a vertiginous view of the fajãs of Rancho and Cabo Girão – small areas of cultivated land at the foot of the cliff – as well as magnificent panoramic views over the ocean and the municipalities of Câmara de Lobos and Funchal. The Eira do Serrado Viewpoint is located at an elevation of 1,095 m, it offers a stunning panoramic view over the parish of Curral das Freiras. It offers a fantastic panoramic view of the valley where the picturesque parish of Curral das Freiras lies, and the majestic mountains of the central massif that surround it. Access to the viewpoint is made by a footpath that starts in Estalagem Eira do Serrado. The Pico dos Barcelos Viewpoint is approximately 355 meters above sea level. From this point there is a splendid panoramic view over Funchal bay and the city area, with the Desertas Islands in the background. This area underwent substantial improvements in terms of pedestrian and automobile access. 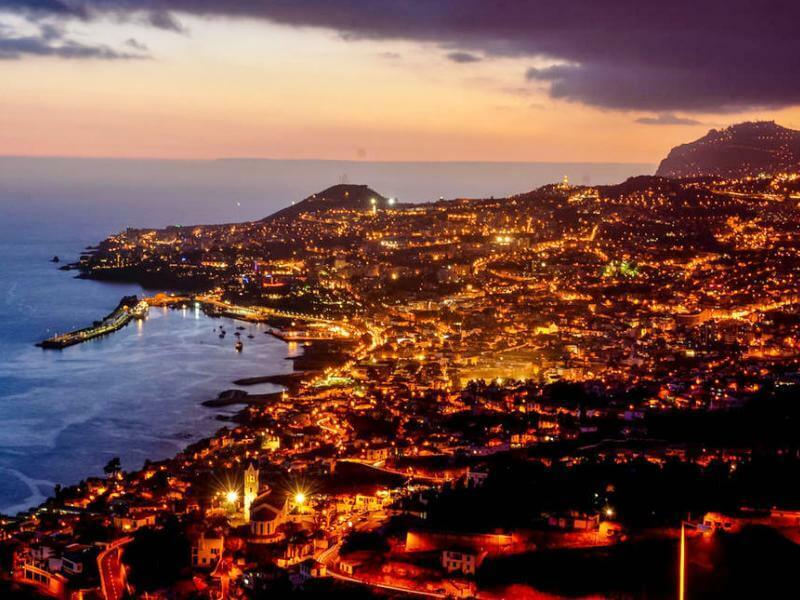 The Neves Viewpoint, also known as Pináculo Viewpoint, provides one of the most beautiful views over Funchal bay. Situated at the extreme east of Funchal, at 283 meters from the sea level, this belvedere provides one of the most beautiful views over Funchal’s City bay. 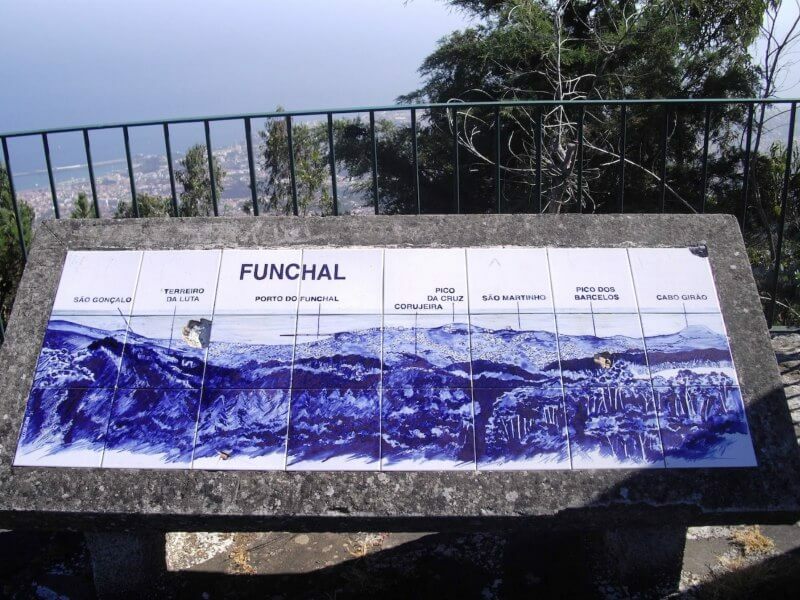 The Pico Alto Viewpoint is located at an altitude of 1,129 meters, in the middle of Funchal’s Ecological Park, the Pico Alto Viewpoint allows visitors to enjoy the view of Chão da Lagoa and Funchal bay. 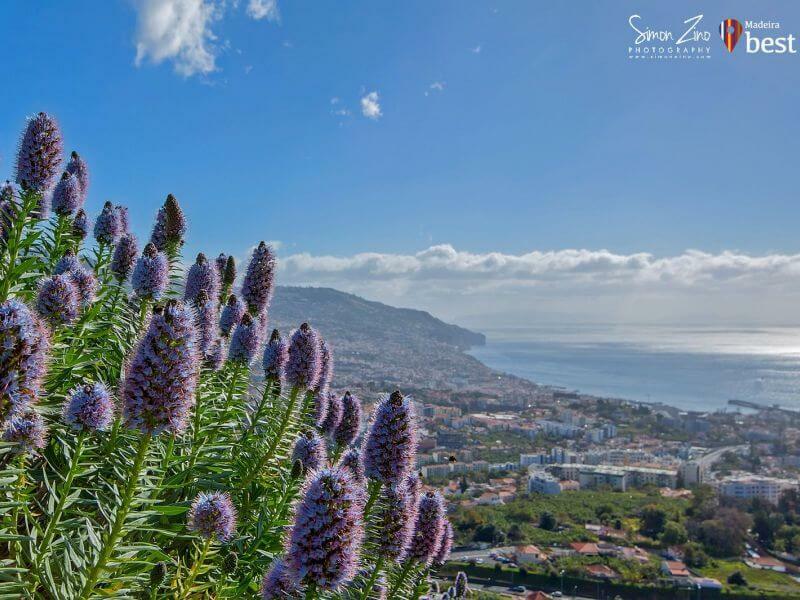 The Cristo Rei Viewpoint is located in Garajau, and offers a panoramic view over the Atlantic Ocean, the Garajau Natural Reserve, part of the Funchal bay and Caniço de Baixo. 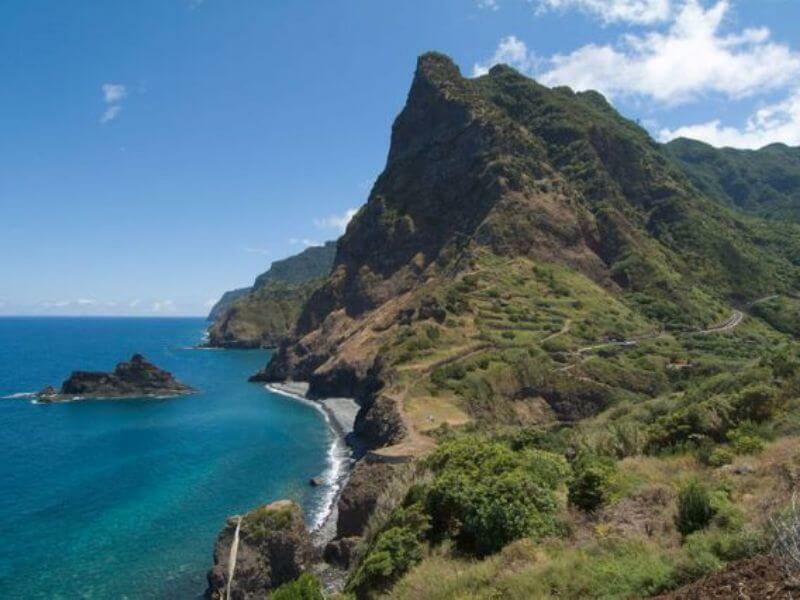 The Pico do Facho Viewpoint is located in the north of Machico, before reaching the tunnel of Caniçal, along a path that leads up to the top of Pico do Facho. From here, the panoramic views of the Machico valley can be admired. They extend up to the island’s central peaks, including Ponta de São Lourenço. The Ponta do Rosto Viewpoint, located in the northern part of the São Lourenço Peninsula, deserves special mention for its flora and fauna. 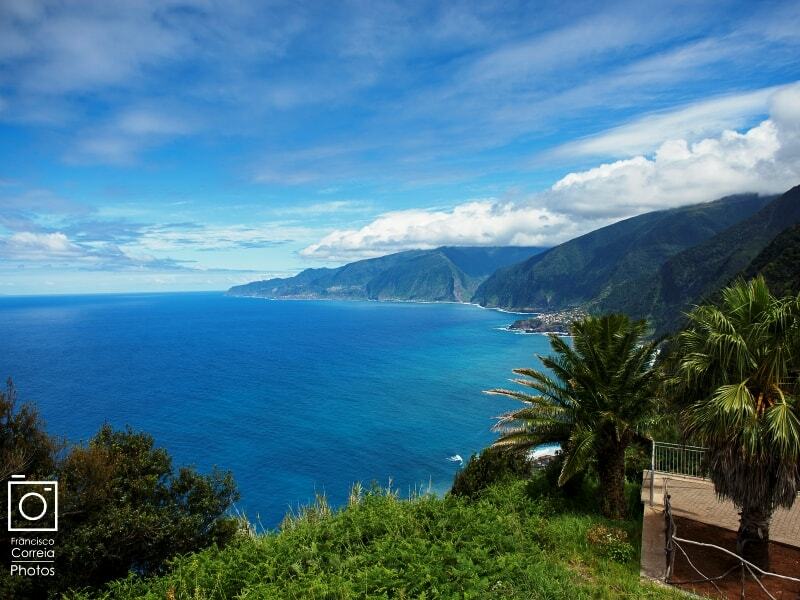 From this viewpoint, it is possible to view both the northern and southern coasts of Madeira Island. On clear days Porto Santo Island may also be seen. 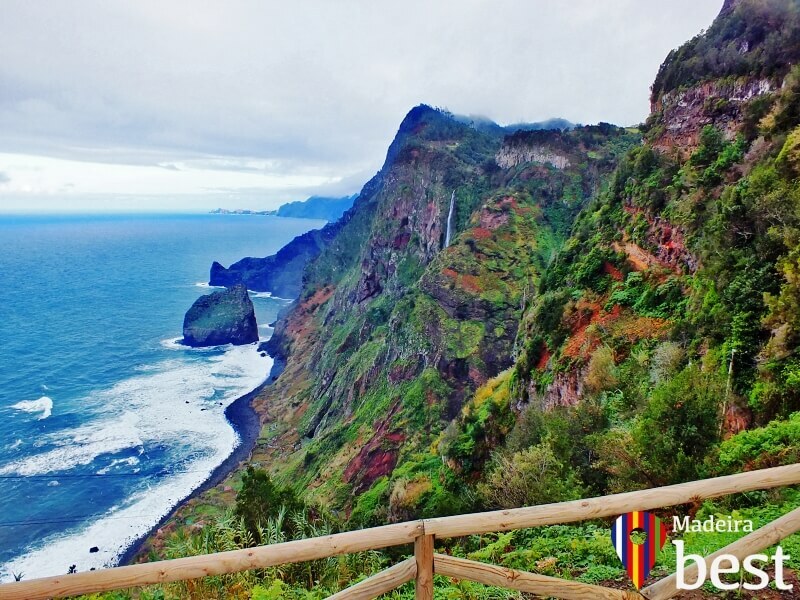 The Portela Viewpoint, located between Porto da Cruz and Machico, provides one of the most beautiful landscapes of Madeira. Here you will find magnificent scenery, with mountains that seem to flow down a valley towards the sea. Here ends our 28 Viewpoint sites suggestions to visit while in Madeira, hope it will be helpfully tips! Have fun discovering the island. Surely there are more fantastic sights to visit in the island. 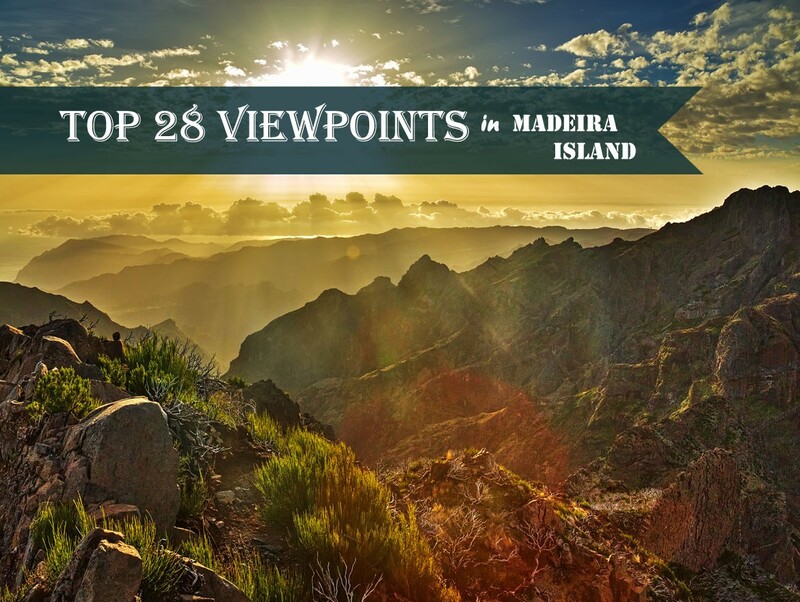 Please share you experiences and thoughts about your favourite viewpoints in Madeira.